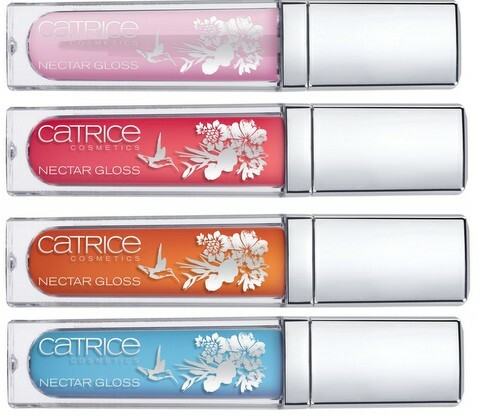 Catrice Coolibri Collection, Coming Soon! I love a bit of Catrice so today I thought I'd take a quick look at the next limited edition collection coming down the line. Out in July, the Coolibri collection is inspired by the iridescent colours of the coolibri hummingbird. What that translates to is a nice bright colour palette for eyes and nails, set off by softer shades on the lips. These look interesting, don’t they? 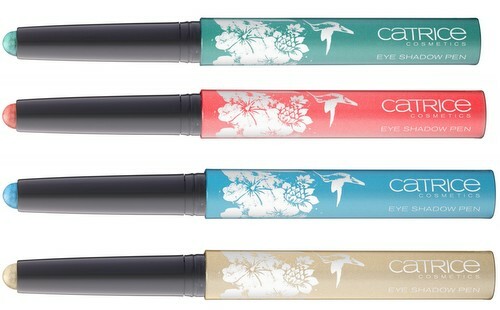 Four shades of shimmery cream eyeshadow pens, in shades of champagne, teal, forest green and pinkish coral. They look like they’d work well on their own or as a base for powder shadows - and they’re just €3.99. There’s a gold liquid liner too, for €3.49, in the shade Precious Nectar. Getting in on the current trend for fluid blushers, this little pot of goodness is the Jelly Cheek Tint, €4.49, and it’s another one I’d like a closer look at. Described as a liquid gel-like texture, this comes in just the one shade, C01 Abloom. For lips, there are four pretty shades of Nectar Gloss, €4.29, in C01 Birds Flying High, C02 Feathery Pink, C03 Gorgeous Blossom and C04 Exotica. I’m guessing Exotica’s the blue, which might look a bit mad, but this type of shade is very kind to the teeth. Or you could go for the Colour Refreshing Lip Balm, €5.49 – this is one of those yokies that adapts its colour to the wearer, and promises a natural rosy tint. Lastly, fans of the brand’s popular nail colours will be glad to see these - five new shades of Ultimate Nail Lacquer, in C01 Birds Flying High, C02 Twist of Lemon, C03 Abloom, C04 Exotica and C05 Virgin Forest. As always, these are well priced at €2.79. I look forward to this! Especially the nail lacquers as they're are my favourite and so inexpensive! Can't wait to try out the colours for myself! Hope you're having a great weekend Emma! The cheek tint looks amazing, it'll probably be very sheer but fab for daily use. Can't wait to get it! I love the look of everything here! Wish we got Catrice here! Love the look of the blush! Today I have first time read your blog your blog is very well written is very tremendous & very informative & genuine. I will following. Love Catrice! It looks like a really nice collection, will be stocking up when I get home! very FASHION post!! i really love your style!!! I've got most of this collection including the Jelly Cheek Tint! You should definitely get it. And the Cream Eyeshadows! I got all of them except the coral one. And they're really creamy and stay on for ages!